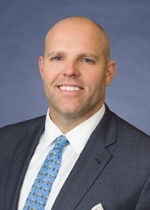 Andrew Schulz is the head of the firm’s Austin office and is a trial attorney with extensive experience in representing clients state wide in tort and commercial litigation disputes. His practice focuses on the evaluation and resolution of matters involving third-party tort claims, construction and coverage disputes, claims handling, and other legal issues of interest to insurers conducting business in Texas. Andrew has defended clients involved in complex “business tort” disputes, construction defect claims, personal injury claims involving truck accidents, slip and falls, machine accidents, oil and gas rig accidents, boat accidents and dog bites, workers’ compensation bad faith, judicial review cases, neighbor disputes, as well as other general civil litigation.